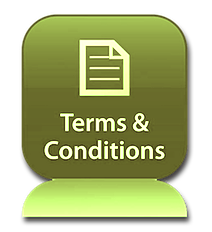 By accessing the AppledorePark.co.uk web site, you are agreeing to be bound by these Web Site Use Terms & Conditions and all applicable laws and regulations, and you agree that you are solely responsible for compliance with any applicable local laws. If you do not agree with any of these terms, do not use this site. Any claim relating to the AppledorePark.co.uk web site shall be governed by the laws of the United Kingdom. The materials contained on this web site are protected by applicable copyright and trade mark laws. Electronic forums such as email distribution lists and UseNet newsgroups all have ground rules and established etiquette for posting messages or material to these forums. Users should be considerate of the expectations and sensitivities of others on the network when posting material for electronic distribution. The network resources rented by you may not be used to impersonate another person or misrepresent your authorization to act on behalf of the AppledorePark.co.uk web site or any other party. All messages transmitted by you should correctly identify you as the sender. Any attempt to alter the system configuration, to breach the security of the network, to gain unauthorized access to other users’ email accounts, or any other attempt at “hacking”, is prohibited, and will result in the immediate cancellation of all access and privileges and the possibility of criminal and/or civil charges being brought. The AppledorePark.co.uk web site contains links to and frames of sites that are not maintained by us. AppledorePark.co.uk web site is not responsible for the content of those sites and cannot guarantee that those sites will not change without our knowledge. The inclusion of such links and frames in the AppledorePark.co.uk web site does not imply endorsement of such sites or any content, information, material, products or services provided on such sites. THE MATERIALS AND INFORMATION CONTAINED ON THE APPLEDOREPARK.CO.UK ARE PROVIDED “AS IS”, WITHOUT WARRANTY OF ANY KIND, EITHER EXPRESS OR IMPLIED, INCLUDING WITHOUT LIMITATION ANY WARRANTY FOR INFORMATION, SERVICES, OR PRODUCTS PROVIDED THROUGH OR IN CONNECTION WITH PROVIDER’S WEB SITE AND ANY IMPLIED WARRANTIES OR CONDITIONS OF MERCHANTABILITY, FITNESS FOR A PARTICULAR PURPOSE, EXPECTATION OF PRIVACY OR NON INFRINGEMENT. In no event shall AppledorePark.co.uk or its service Providers, affiliates, associates, subsidiaries or partners be liable for any damages, including, without limitation, damages for loss of data or profit, or due to business interruption, arising out of the use of or inability to use the materials contained on The AppledorePark.co.uk web site, even if AppledorePark.co.uk has been notified of the possibility of such damage. Some jurisdictions do not allow the exclusion of implied warranties, so the above exclusion may not apply to you. This disclaimer of liability applies to any damages or injury caused by any failure of performance, error, omission, interruption, deletion, defect, delay in operation or transmission, computer virus, communication line failure, theft or destruction or unauthorized access to, alteration of, or use of record, whether for breach of contract, tortious behavior, negligence, or under any other cause of action.